I suppose if we calculate statistics we can prove absolutely anything by creating a correlation between this thing and that reaction, can’t we? There are links between the way people purchase toothbrushes and the fact that we are in a recession even according to some today. Apparently, people go to the dentist less and by more dental care products to make up for it when the economy has taken a turn for the worse. There’s another ominous index that is published every year by Barclays Bank of the UK that is intended to correlate the height of buildings with the recessions that have taken place around the world. It’s called the Barclays’ Skyscraper Index. According to the index the construction of the world’s tallest buildings have always coincided with the great slumps and recessions that we have gone through in history. The Chrysler Building completed in 1930) and the Empire State Building (completed in 1931) and the Great Depression all happened at the same time. The Burj Khalifa in Dubai, United Arab Emirates was started in 2004 and finished construction in 2009 just in time for the global financial crisis to have really set in. The Petronas Tower in Indonesia was directly in line with the Asian crisis. But, perhaps it’s not that stupid. Skyscrapers coincide with building booms and that means heavy investment, often overinvestment and that means misallocation of capital to a high degree. If capital is misallocated in the economy and there is too much spending or credit going round, then the economy ends up righting itself by plunging the country into a deficit and a slump ensues. So, the skyscraper index may not sound that stupid at all. Two countries in particular have a race on to have the tallest building in the world and the most skyscrapers. That means that there is going to be big investment coming or that is already well under way. China is one of those countries and it has already finished half of the 124 skyscrapers that it plans to build in the country. The Chinese embarked on a massive skyscraper-building project two years ago and planned to build a new skyscraper every 5 days to deal with the growing influx of rural migrants coming to urban areas to find work. Within the next two years studies show that China will have more than 800 skyscrapers (buildings over 500 ft high) within the next couple of years. 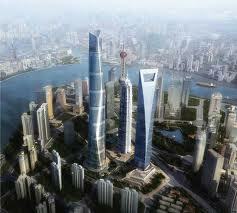 China’s tallest building (the Shanghai Tower) began construction at the start of the financial crisis in 2008. Saturday just gone saw the final beam being lowered into position to complete the construction on the main structure of the building. It coincides with the downturn in the Chinese economy and the contraction that is currently being experienced. Analysts reduced the economic outlook for the country when growth in China fell from 7.7% in Q1 to 7.5% in Q2. India is the second country that is embarking on a super-building project. There are 14 skyscrapers that have been planned to see the light of day over the next 5 years. India Tower in Mumbai will be the second tallest building in the world at 2, 356 feet. It began construction in 2010, but has been interrupted since 2011. Too many skyscrapers being built in a country means that it’s the end of a possible cycle. The country has been flush with money already and the good times were there to feed the fat cows and the banks opened the floodgates to spray that money around. But Barclays’ Skyscraper Index states that there is not only a correlation between the number and even the fact that tall buildings are constructed, but also the height of those buildings that predicts the extent of the economic slump to come. Buildings have never been higher today in the world! 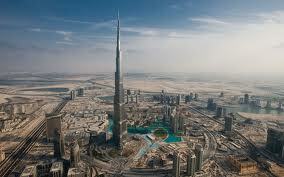 The Burj Khalifa is 829 meters high (2, 719 feet), the Shanghai Tower is 630 meters (2, 066 feet). But, the Chinese have already set about building the world’s tallest building, the Changsha construction, which will be 838 meters high (2, 749.34 feet), surpassing the Dubai skyscraper by ten feet. The Shanghai Tower cost $2.4 billion and it will be fully completed by 2014 after Saturday had the flag-waving Chinese celebrate the final beam going into place to finish off the shell of the structure itself. The Chinese property bubble already started to go down in 2011 as housing prices began to fall in China. The middle-class was unable to find property to rent in urban areas at reasonable and affordable prices, and analysts clearly point to this being one of the reasons that the Chinese economy has taken a downturn since last year. Average prices in residential areas were multiplied by three from 2005 to 2009. Properties fell vacant as the Chinese were unable to pay the rent or keep up with the prices as their salaries were not following. While there were 64 million vacant residential properties in China in 2011, the country continued building and building regardless. In Shanghai alone property prices skyrocketed by 150% over a seven-year period from 2003 to 2010. 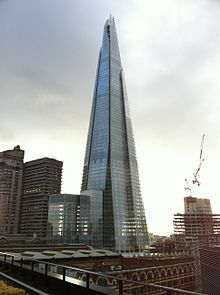 If you still need more proof, the British built the London Shard by London Bridge; started in 2009 and finished in 2012 (inaugurated on July 5th). It’s 1, 020 feet high and the tallest building in the EU today. Heaven forbid if the Barclays’ Skyscraper Index should ever for one moment suggest that it is the British that are at the origin of the downfall of the Eurozone and the recession. Impending doom, don’t you just love it? There are two types of people that exist. The scaremongers that are able to say ‘I told you so’! Then there arethe few that actually believe what they are being told. The trouble is, this time it’s coming from Barclays Bank. Admittedly, Barclays should have been in a position with its Skyscraper Index to predict its own downfall and get out before something hit the fan. Just last July 30th they issued a statement saying that they had a financial shortfall of £12.8 billion that needed to be filled and that they would be asking shareholders to come up with at least £6 billion to plug the cracks in the gaping hole. If only they would listen to their own research sometimes, these banks! Sometimes I wonder why statisticians actually create statistics. A good researcher searches, but rarely finds anything. When he hasn’t found anything he continues searching, and when he is sure that there is nothing out there the statistics can still be used to create a correlation between anything we really want. 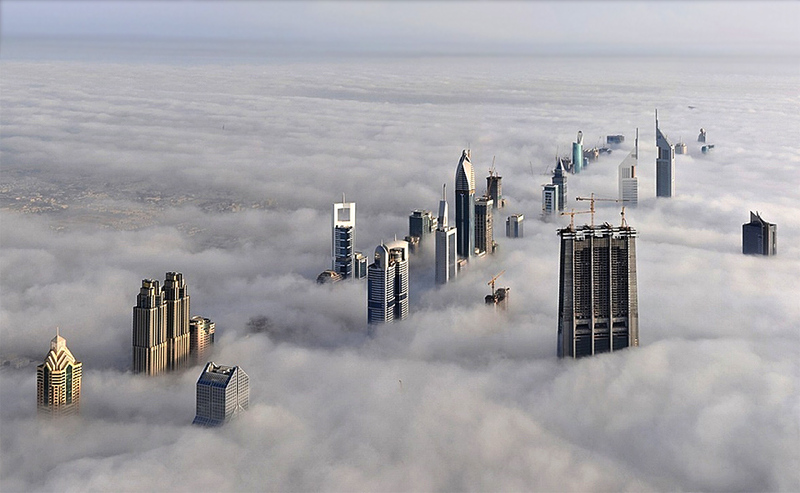 So, are the tallest buildings in the world impending doom on the planet for mankind? Probably about as much as your granny's tea-leaves in the bottom of the cuppa she just glugged down.